New Price adjustment! Come check out your new Key West style home today! Located in the sought after waterfront boating community of South Gulf Cove. This spacious open floor plan offers abundant light with beautiful hurricane resistant French doors and windows all around. Entertain guests for years to come with the wrap-around porch leading to the pool and large lanai. Even the master bedroom has French doors to the pool, as well as, walk-in closets, dual vanities and sinks, a soaking tub and a separate shower. You will fall in love with the beautiful plantation shutters throughout that make this home extremely energy efficient! 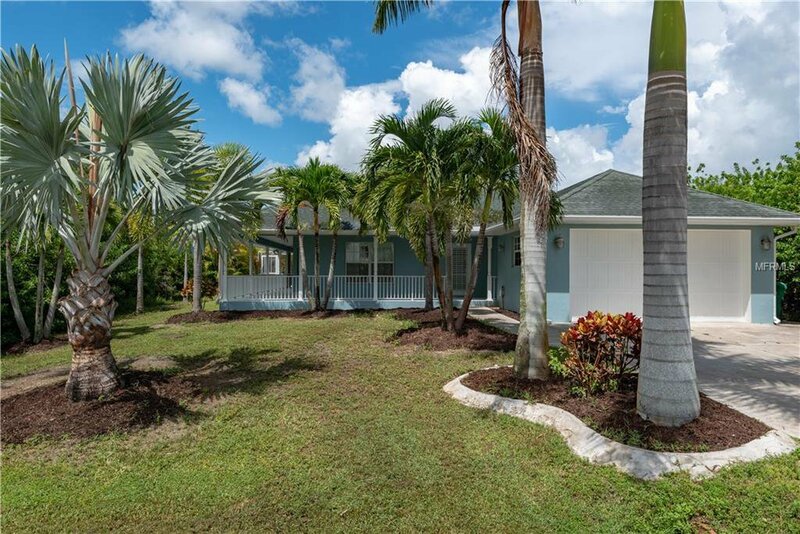 This very private and serene setting is lush with tropical landscaping and has a very low maintenance yard. Visit this one today to experience the Florida lifestyle at its BEST! Listing courtesy of SELLSTATE WAVES REALTY. Selling Office: SOUTH GULF COVE REALTY, INC.